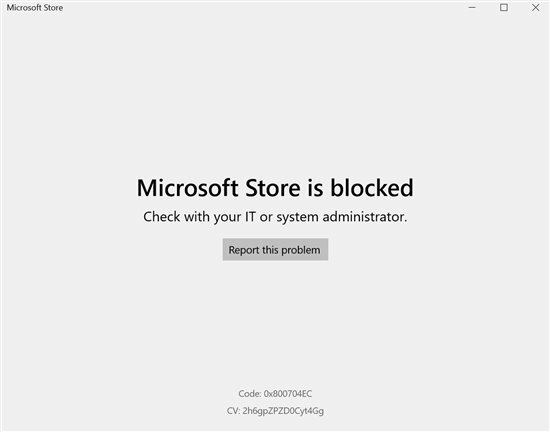 This behavior is by design in Windows 10 version 1511. 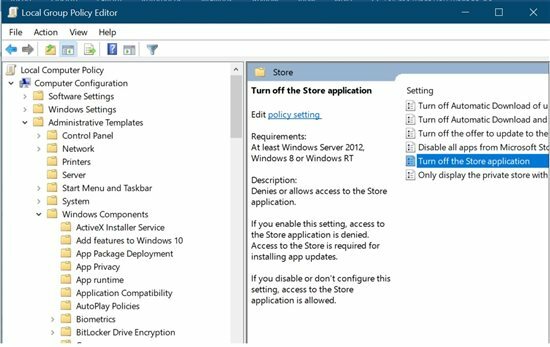 Microsoft Store is an integral part of Windows 10 ,which offers apps, games, music, film, TV series, e-books etc. 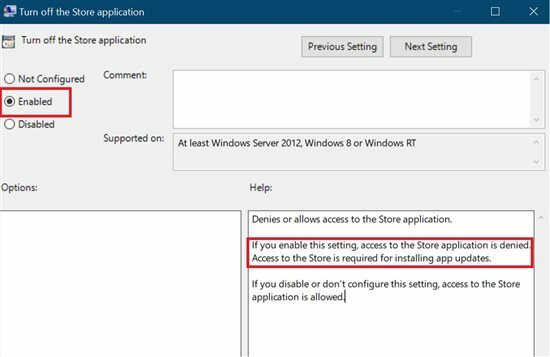 You need a Microsoft user account to purchase, download and install via Microsoft Store. 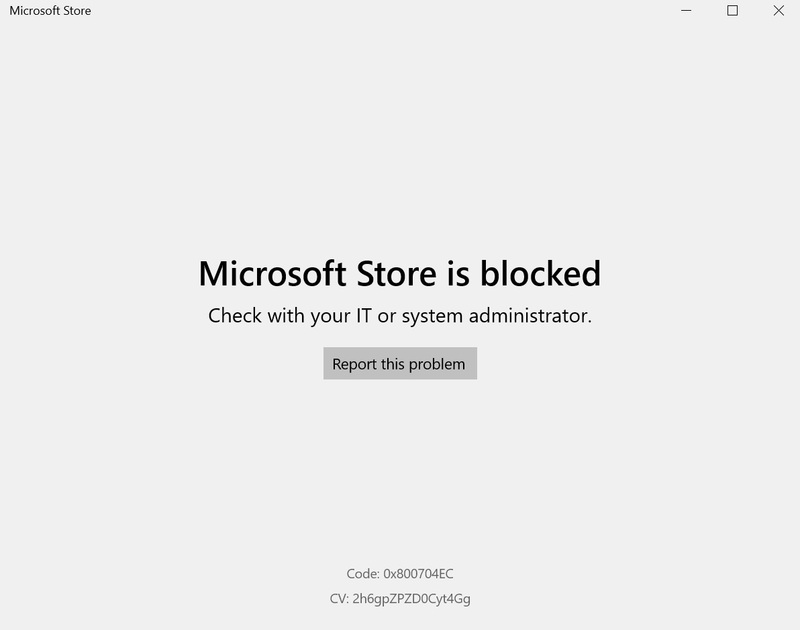 If you click on Microsoft Store icon present on taskbar and see a pop-up message “Microsoft Store is blocked” with an error Code: 0x800704EC then this guide will help you to fix the problem. In Start Search type Gpedit.msc and hit the Enter key. The Local Group Policy Editor will open. Move to Computer configuration > Administrative Templates > Windows components > Store > Turn off the Store application > Right click on it to select Edit. 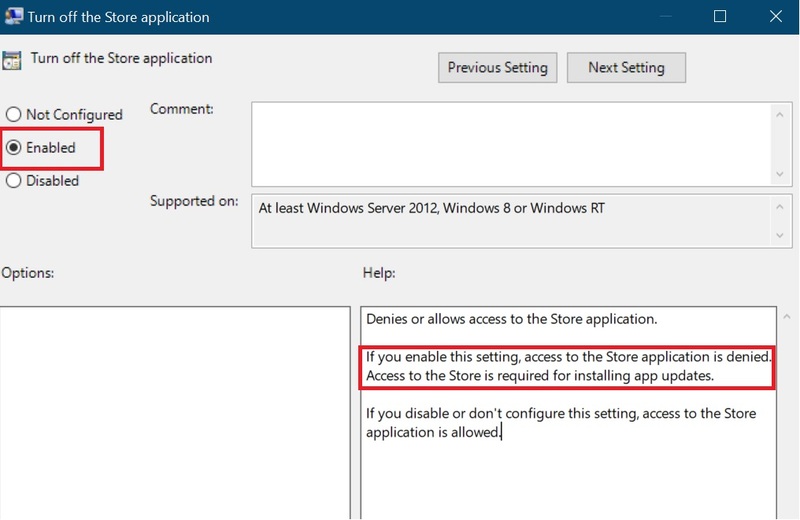 If you find the Policy is Enabled then change it to either Not configured or Disabled.